THE GOVERNMENT HAS announced that it will be setting a minimum price on alcohol of €1 a unit. This means that most cans of beer will now cost €2, while a bottle of wine with a 11.5% volume of alcohol would cost more than €8. Announcing the Public Health (Alcohol) Bill this afternoon, Minister for Health Leo Varadkar said that he is willing to defend the new laws in the courts, but that he does not expect they’ll be enacted by the end of this Dáil term. He pointed to damage to personal health, absenteeism, the burden on the health service, public disorder, traffic accidents and mental health consequences as areas that will be improved by the introduction of the legislation. What else is being introduced? New labelling will be introduced for products that will be required to display a link to a public health website and provide access to information on grams and calories on menus in pubs and off licences. New labelling of alcohol products will be phased in over three years, with minimum pricing legislation coming in tandem with the introduction of similar legislation in Northern Ireland. Regulations will also be put in place about the locations that alcohol advertising can appear, with a blanket ban on advertising near schools, council-owned playgrounds, bus and train stations, and Luas stops. Advertisements are also going to be required to be strictly informative about the alcohol product, and breaching the rules will mean alcohol manufacturers will face criminal sanction. There will also be an evening watershed that ads for alcohol will be required to go out after. It has also been announced that alcohol advertising at car and motorcycle events will be banned, and cinemas banned from advertising alcohol products. How will the prices change? Earlier today, a number of organisations welcomed the new Bill. The Irish Cancer Society has welcomed the move that will see alcohol legislated for as a public health issue. The Bill contains targeted measures, including health labelling, minimum unit pricing and marketing restrictions, that will reduce the consumptions of those at greatest risk of harm, protect children from slick advertising and save lives. Speaking on Newstalk’s Breakfast Show earlier today, Professor Donal O’Shea, spokesperson for the Royal College of Physicians of Ireland on alcohol policy, welcomed the move. “The minimum unit pricing is going to give us a quick hit because it is going to reduce the consumption of alcohol,” he said. 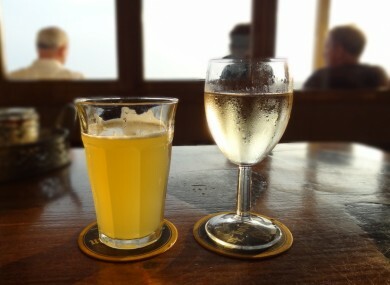 However, there was some reservation from alcohol manufacturers. Speaking on RTÉ’s Morning Ireland programme this morning, a director with the Alcohol Beverage Federation of Ireland Ross Mac Mathúna said that the legislation was a missed opportunity for alcohol manufacturers. He went on to say that wider measures relating to education were needed to tackle alcohol abuse and that “we’re not going to regulate our way out of this problem”. Read: Are we about to finally change our attitude to the demon drink? Poll: Will higher alcohol pricing change how much you drink? Email “Alcohol pricing: Here's how the planned changes will affect your pocket”. Feedback on “Alcohol pricing: Here's how the planned changes will affect your pocket”.